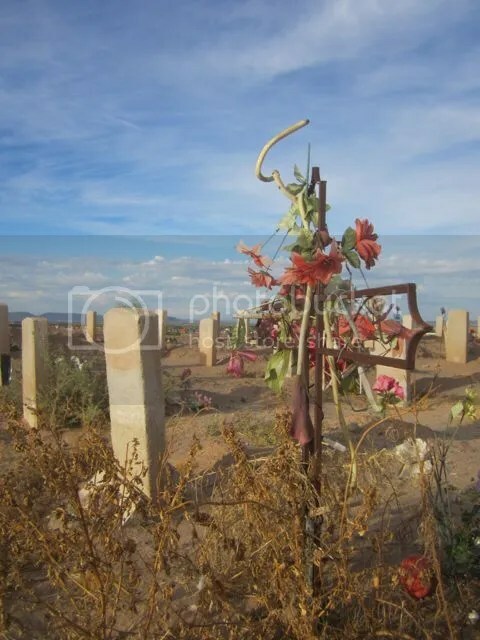 Posted on April 29, 2014, in 5-7-5, Arizona, Carpe Diem, Haiku Horizons, Ruby Tuesday Too, Southern Arizona, Yuma, Yuma Pioneer Cemetery and tagged Arizona, dusk, husks, passing spring, potter's field, weed, wind, Yuma, Yuma Pioneer Cemetery. Bookmark the permalink. 21 Comments. Nice haiku! And your picture is really great – death and life at the same time. And the spring will come with new life! sound of passing spring…I like as well! There really is a sadness to this shot. Sound of passing spring. this is so beautifully done. sound of sadness but will pass by..
Lovely photo. The haiku is poignant and brings out the melancholy side of Spring. I hear a tinge of melancholy in these line MMT. Awesome … ‘the sound of passing spring’ … chapeau! Nice. Well done haiku in true classical haiku style. The sounds transmitted in this poem stopped my heart for an instant. Amazing. Spring… and then come the dryness of blazing summer. love the sound of spring ! i can hear it ,wow !